Looking for a truly handmade hand sculpted low back chair for your dining room, office or sitting room? This chair is inspired by the great Sam Maloof style chairs, with my own take. 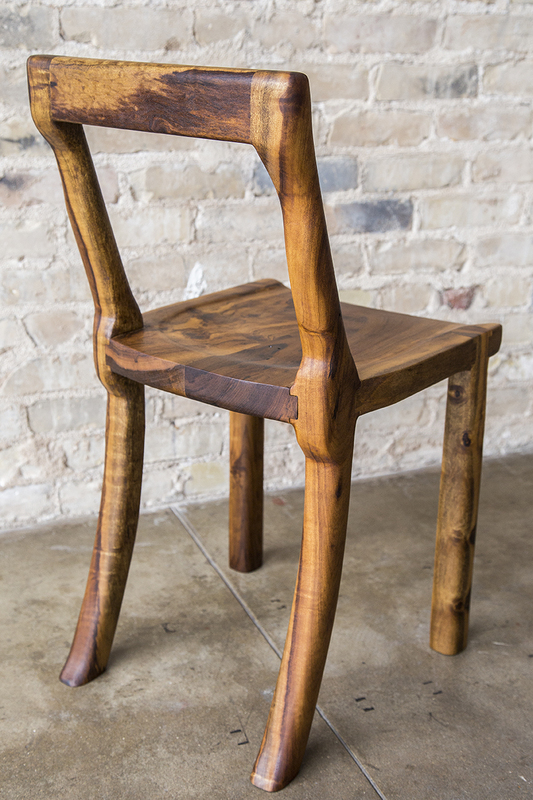 Made from solid Brazilian Imbuia exotic hardwood, this chair is built and designed to last a lifetime. All of my products are designed and built one at a time in Austin, Texas. Please contact me if you are interested in your own custom made chair.